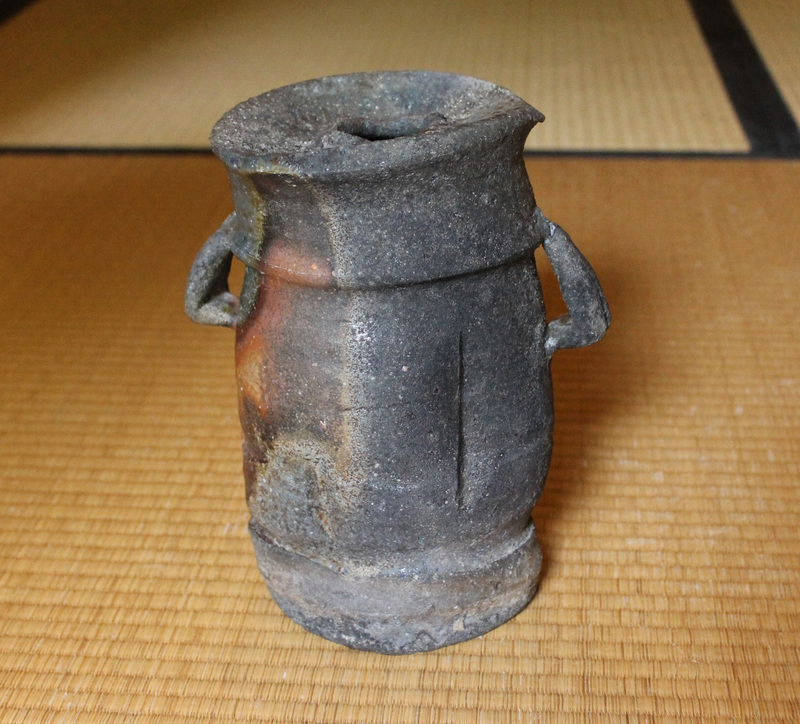 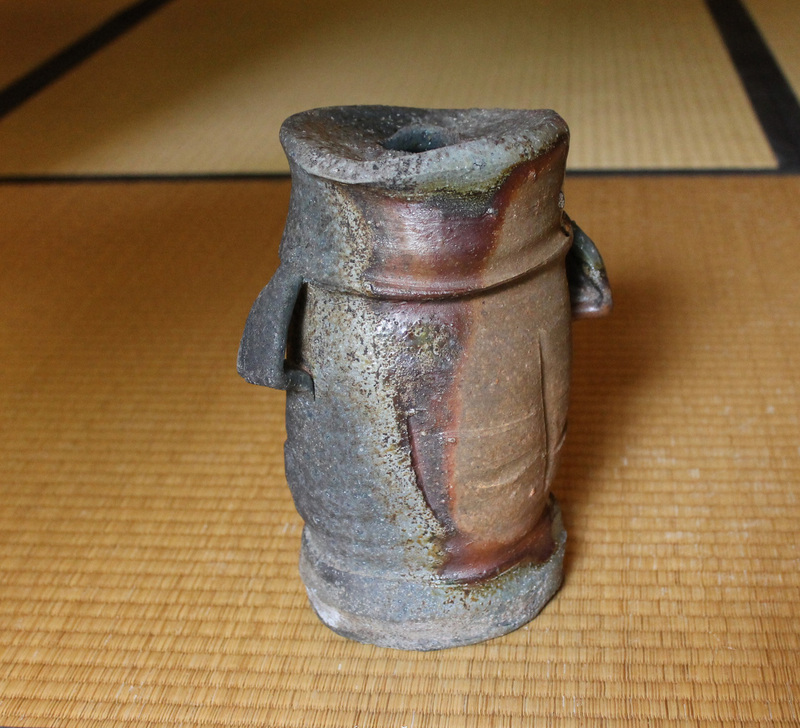 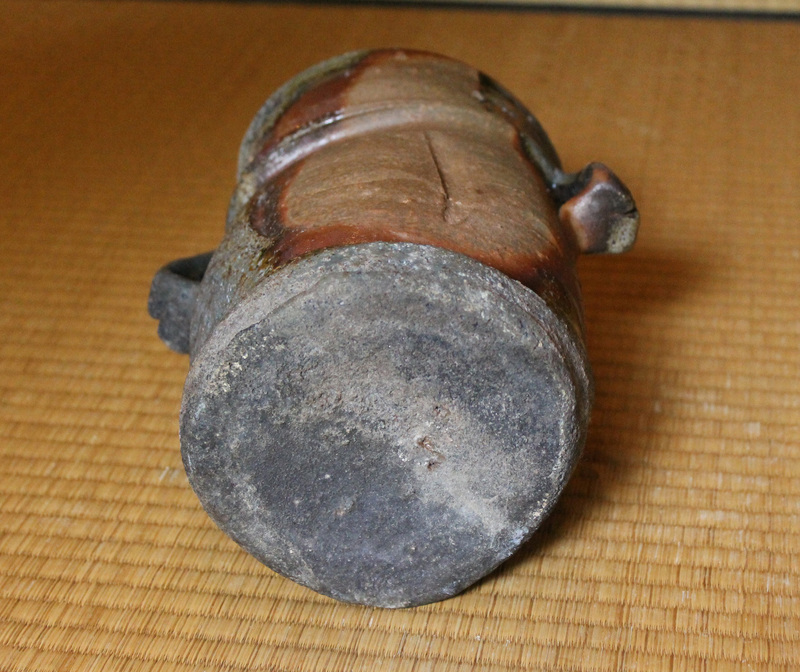 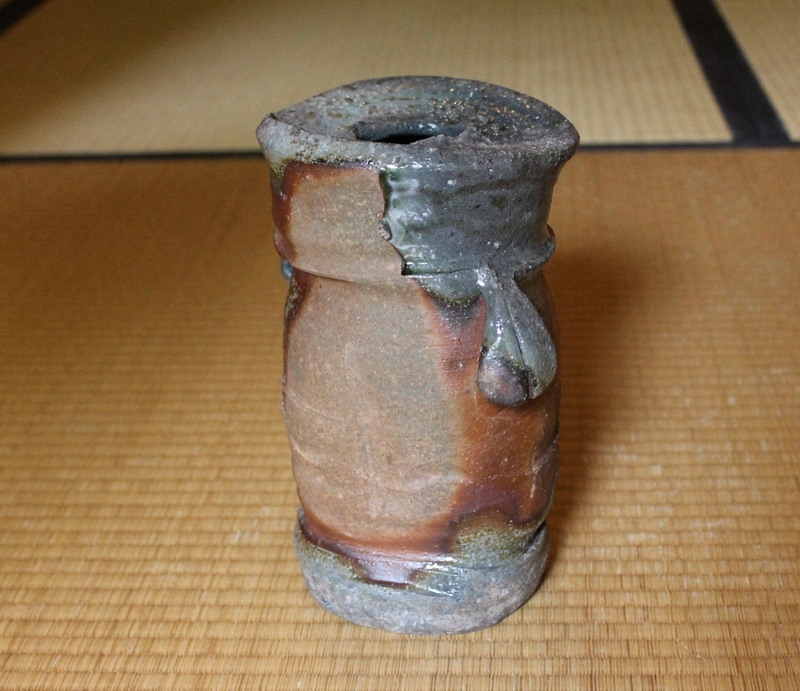 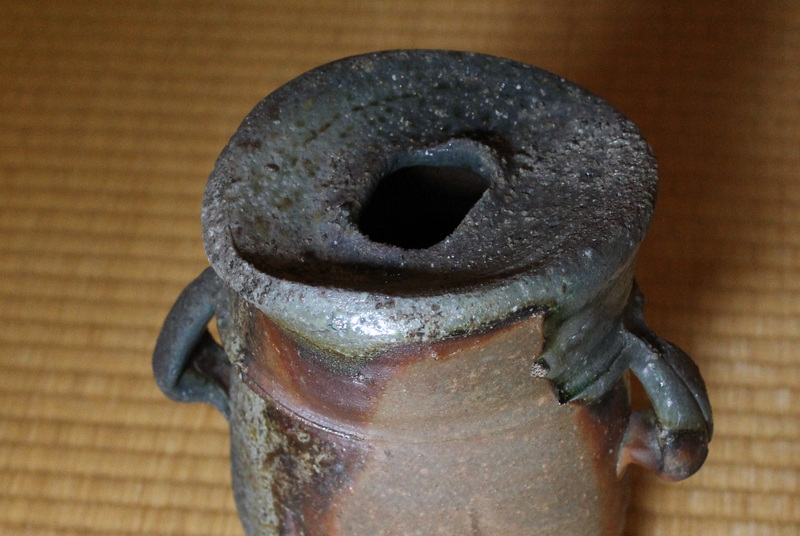 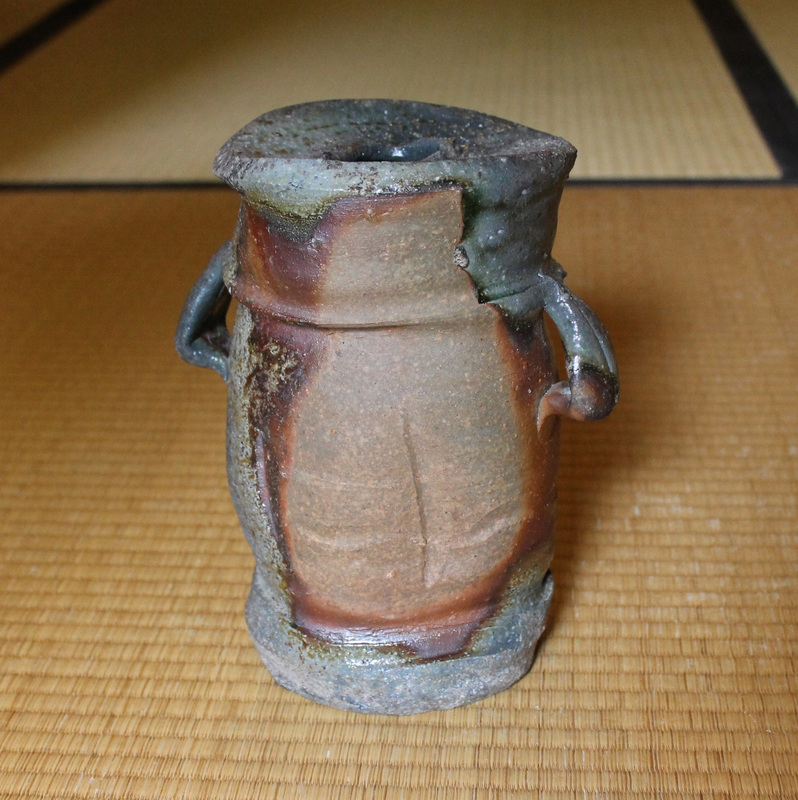 Dating to the early 1990s this is a Bizen yohen earred-vase—with Attitude–by Kakurezaki Ryuichi. 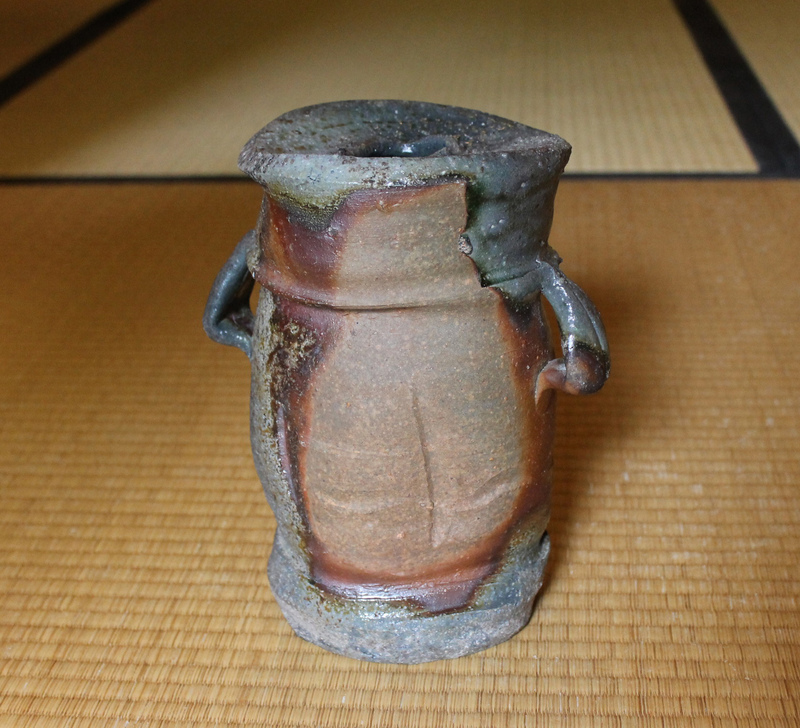 In perfect condition with a signed box, 24cm.tallx20cm. 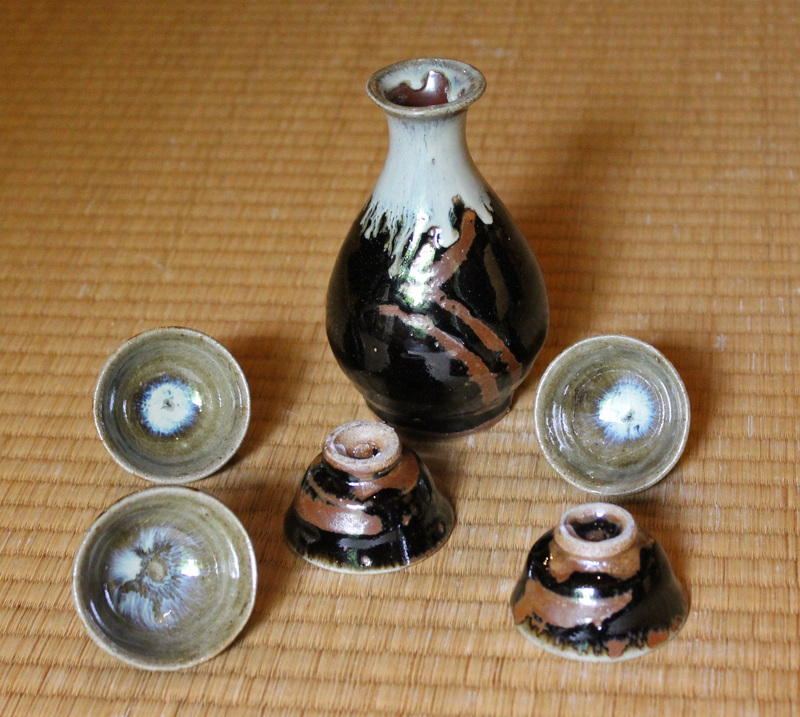 ear-to-ear x 14cm, signed on base, EMS included. 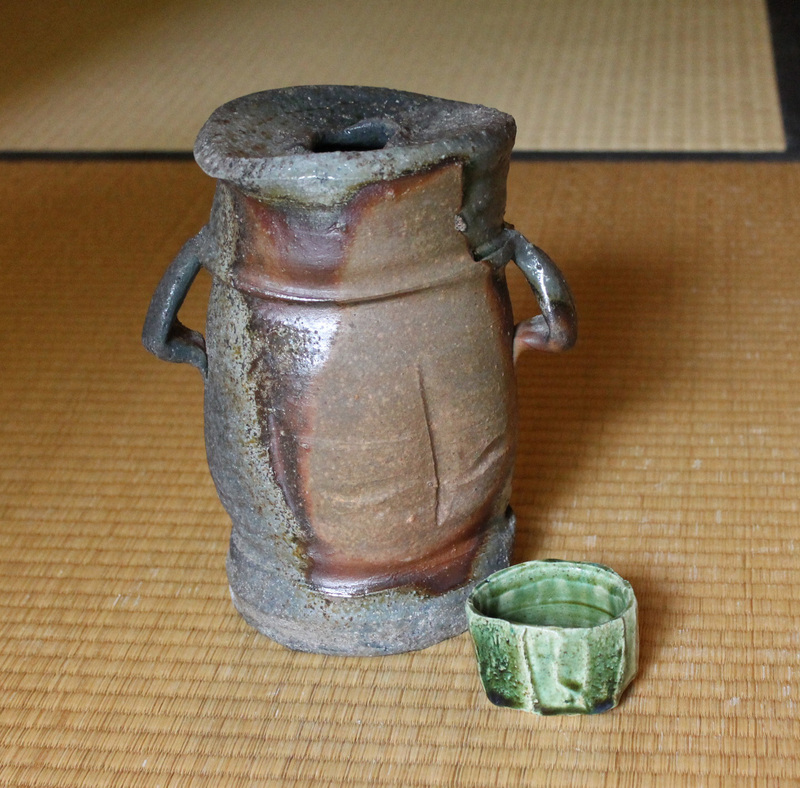 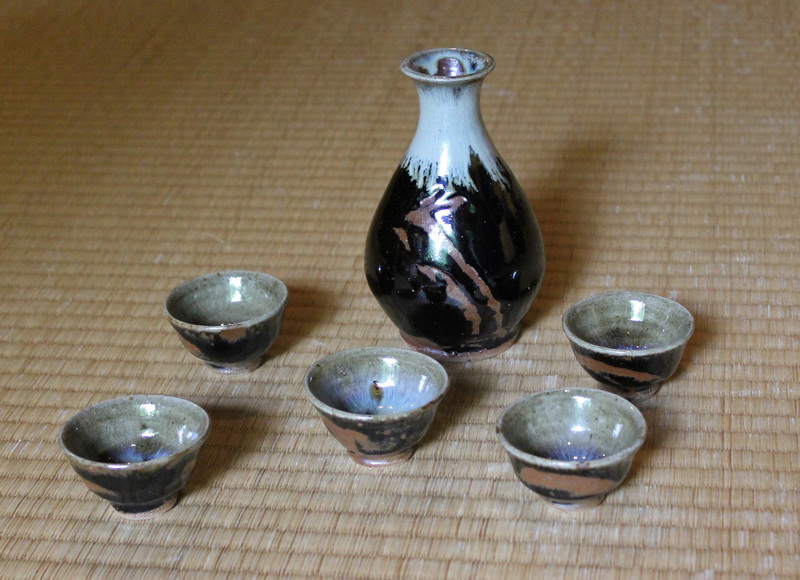 The Hamada Shoji set–one flask–there were originally two–and five small sake cups is 100,000 yen.